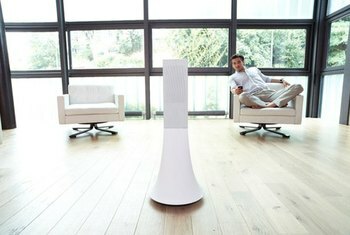 Sound quality on the PlLAY:5 is well balanced and gets loud enough to fill a large room without distortion. The inclusion of a subwoofer helps provide good bass response without being overpowering. The Android and iOS apps are well designed and easy to use. At just under $400, the PLAY:5 is pricey, and there's a chance you'll need to add another $50 for the wireless bridge. Stereo separation is hard to distinguish on the PLAY:5. The Wi-Fi only works over the 2.4 GHz wireless band. If you're on a 5 GHz band and can't switch to 2.4 GHz, you need to hard-wire the Play:5 over Ethernet or use a Sonos wireless bridge. 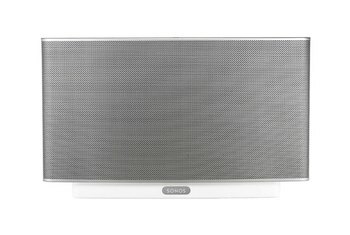 The Sonos PLAY:5 is the largest wireless speaker in the Sonos family. Five digital amplifiers power its five speakers: two tweeters, two midrange drivers, and the subwoofer. Internet radio stations and music services like Amazon Music, Pandora, and Spotify are supported, as well as music stored on a computer or NAS device. An analog audio input allows music from external audio devices to be played. The free Sonos Controller app for Android and iOS can be used to control the PLAY:5. Multi-room setups are supported, and the PLAY:5 is available in two colors: black and white. 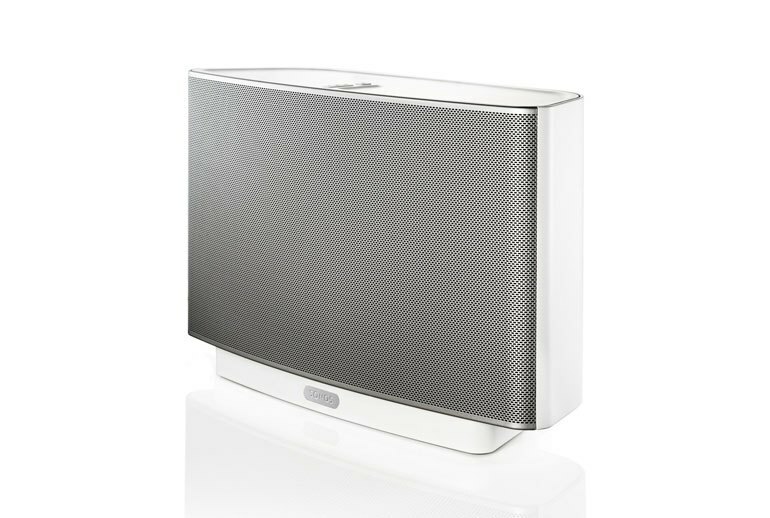 We found that at around half-volume the S5 was plenty loud enough to be heard around the house and there's little practical reason to go any louder. 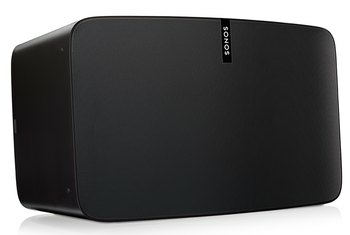 Wirelessly fed a Lossless rip of Mumford and Sons' The Cave, the S5 responds with a delivery far bigger than any room it's likely to be placed in. Vocals are focused, but the overall soundstage is wide, deep and three-dimensional. 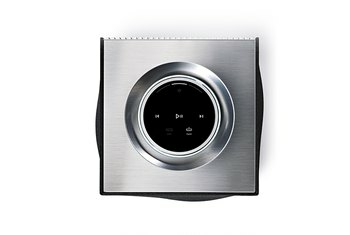 If you want to listen to your favorite music in private, a built-in headphone connection has been provided for you. If you already have an Apple iPhone or an iPod touch, you're in luck – you can download a free Sonos Controller app from the App Store which can be used to sync your iPhone up to your Sonos system. The bass is never overpowering either, no doubt thanks to the quartet of high and mid-range drivers, leaving you with a good degree of clarity. You can also stream your entire digital music collection from any Windows or Mac computer on your home network, as well as most NAS (network-attached storage) drives that support SMB sharing. In my tests, I was impressed by the S5's overall audio performance. It covers the entire frequency range with grace and clarity. Overall, we were impressed with the sound -- it was certainly on par with those premium iPod speaker docks costing much more. I would easily put this guy up against the more expensive Bose Wave music system III and be pleased with the results. 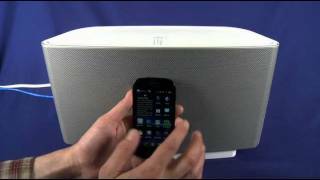 These little stereo systems are scary -- any audiophile has a graveyard of Bowers & Wilkins Zeppelin, Oontz speakers, or anything with an iPhone 4 dock. So that's where Sonos products ease our fears: they connect wirelessly (or via an ethernet cable), so there's no danger of its connector being deprecated to the trashheap any time soon. 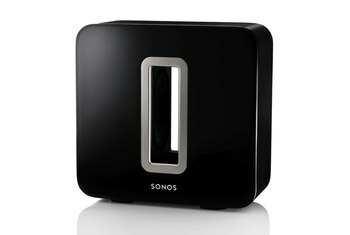 The thing that is confusing about Sonos is that they are not simply speakers: they are little computer systems, so they handle playlists and multiple units can be synced. It's almost like your iPhone becomes a radio station that your Sonos devices get tuned into, and the ability to have all your devices play the same music at the same time OR to have different playlists going for different rooms is something I have not seen in other systems. HOWEVER... this is hard to do. 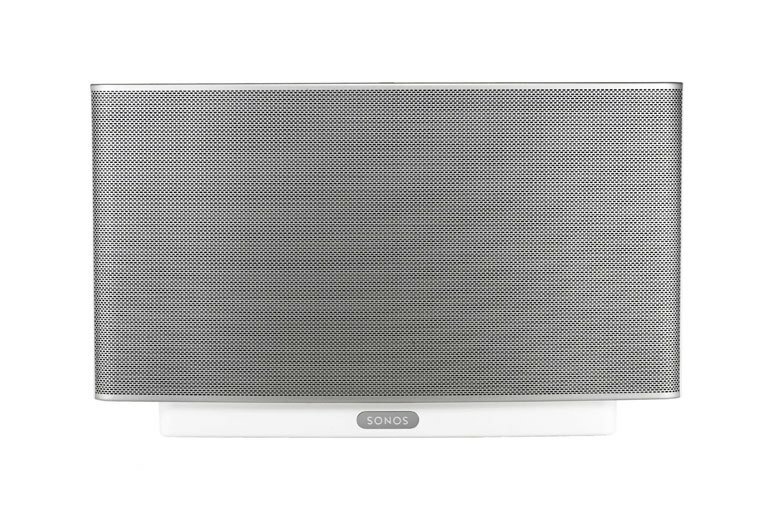 Sonos systems have to act as an audio output AND as a playlist manager, but in both use-cases, there are some rough spots that make this recommendation come with a few words of caution. Sometimes if I've been controlling the system with one device (e.g. my iPhone), then another device (e.g. my iPad) can't find the setup. I've had to set up the system more than once. Secondly, having a vintage multi-GB collection of vintage mp3s lurking on my hard-drive means that I have to re-define playlists on the Sonos app, and that's a bit rough sometimes. Sonos is my fave purchase... ever. I swear by my Sonos system. 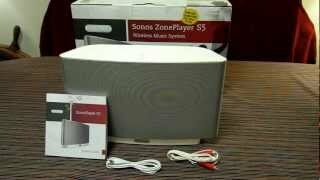 In addition to the Play 5, I have Sonos units throughout my house connected to traditional speakers as well. This Play 5 I've had in my bedroom, but now it's in the garage. The sound is great and it works just effortlessly. I'd say Sonos system is perhaps my favorite purchase ever.